Text and photos by Mikko A. 16th time of this legendary festival was my first visit. Curiously, on my way back from Tower Transmissions, I had been staying at Wrocław, in small hotel right next to the venue. Not realizing that in few months I will be playing there. 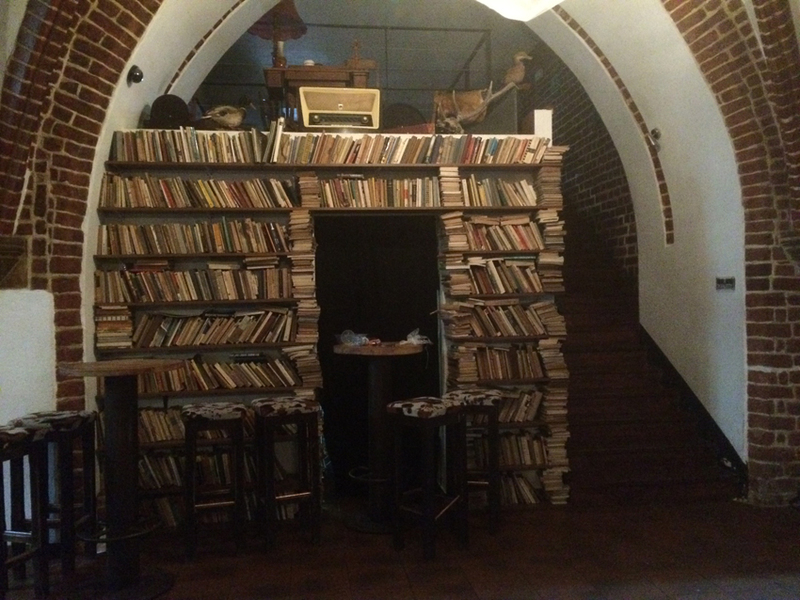 And also visiting interesting book store, what I now found to be located next to Club Proza where some of the film screenings took place. Certainly people who live in Wrocław, may have different views of their city. Some proclaimed it as shithole. My experience is quite opposite. 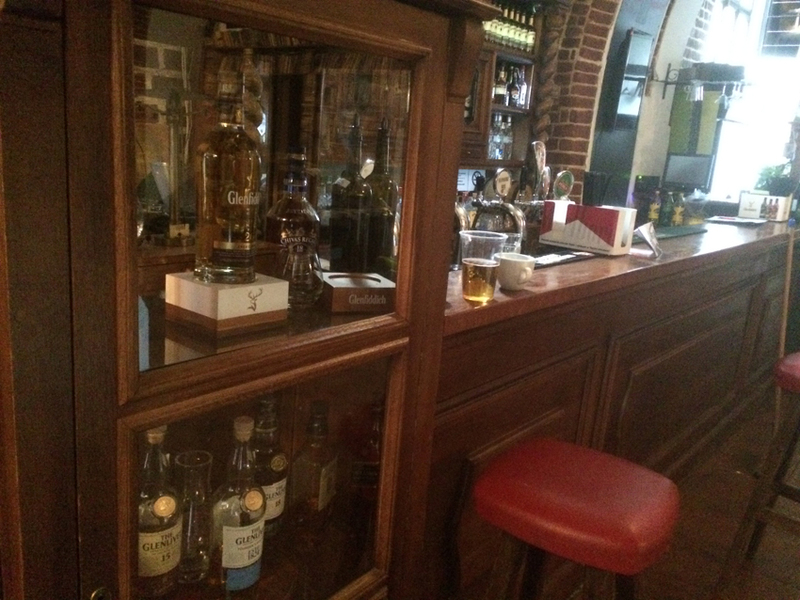 Many east European cities are filled with historical buildings, good food, interesting statues, decent bars, etc. There are way more cities that are void of any culture or identity what even annual industrial fest could not fix. I’m rather frequent visitor in Easter Europe and find it often far more interesting than scandinavia, south or overseas. Therefore, was very happy to get to see festival in Poland. Arrival on Thursday proved organization to be flawless. Pretty much zero effort as visitor was needed. There was four venues involved. The two main ones are smaller Old Monastery and bigger Gothic Hall. Two floors of the centuries old church. I have Nor Noise already in my own collection, so going to early screening at very central square of Wrocław, at Club Proza, was not necessary. There was another venue, DCF Cinema, for exhibition and cinema concert which was missed, in favor or meals and drinks. 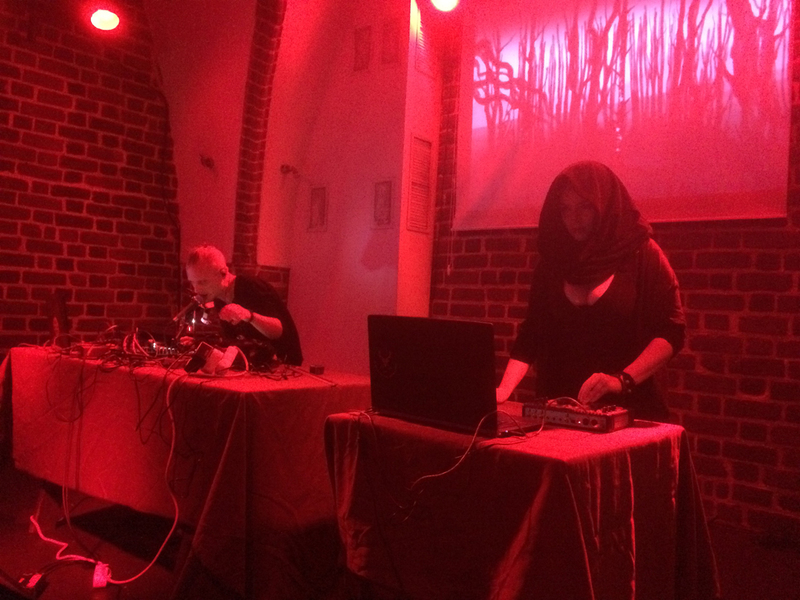 At evening, Old Monastery had Throbbing Wafle playing Throbbing Gristle cover songs and eventually DJ Eric Byrne from Tower Transmissions doing midnight DJ set. He displayed good sense of timing, playing entire Very Friendly by Throbbing Gristle. Not something you’d expect on every dancefloor! Memorial for Brady who died this year and of course displaying TG’s excellency compared to the tribute band. TG relies so much on the sound and personality of its creators, it’s not easy to follow up… Alcohol was consumed to significant levels and opportunity to meet bunch of people. Friday was the first actual day. First thing I appreciated, was DJ WIKTOR SKOK playing some early Anita Lane stuff. Never heard it play anywhere else than my own stereosystem and ear captured ethereal ghostly whispering voice instantly. First band was GHOSTS OF BRESLAU. Ambient is difficult in live situation. To put perspective, you got bar full of people, excited to meet eachother, and have beers. No matter how neat quality atmospheric drones Ghosts of Breslay was able to pull from his gear, it was distracted with typical bar noise. There was plenty of people watching and of course you could follow what he was doing, but countless people chatting didn’t give band best surrounding for it. 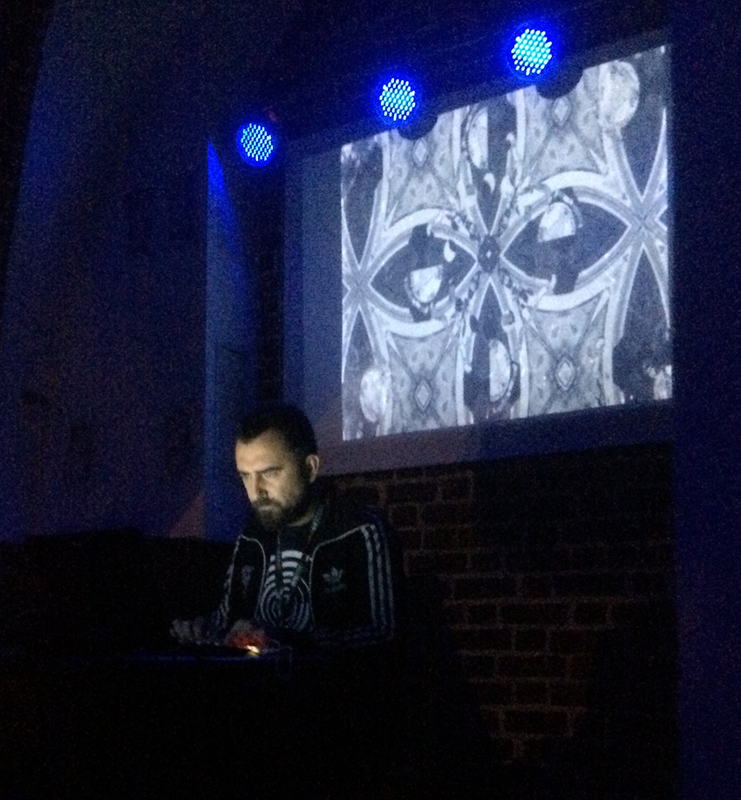 Experimental set performed at Club Proza proved to be more suitable for material like this. He had controller in front of lap top, and clearly hands-on operation with sound. Visually, however, sitting in front of desc watching the screen. Always turn off for me. I’m big fan of AUTOPSIA ”The Knife” 12” from 80’s. No matter how much I have tried, I never have found equally good Autopsia material. It is not kind of artists who would be stuck in the past, so ongoing mutation and stylistic shift has taken him far from those days. 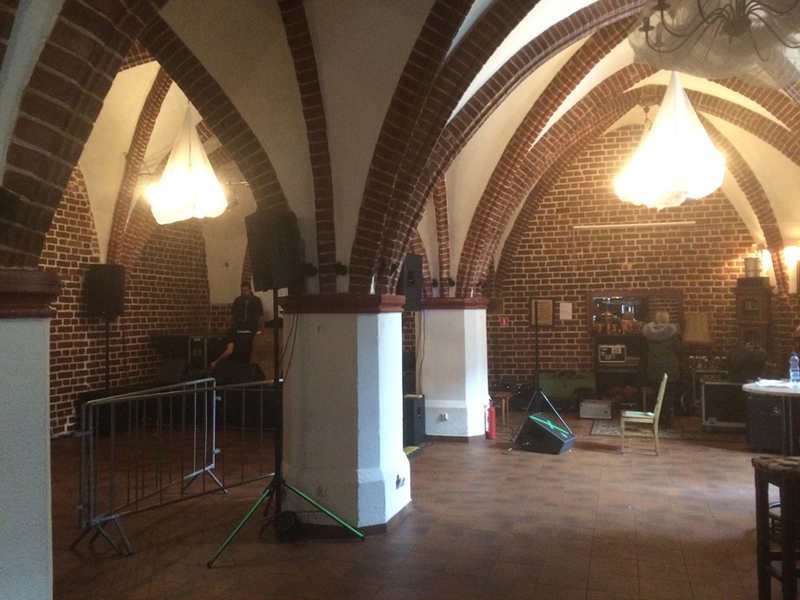 Playing in Gothic Hall venue, huge old church, hidden behind giant sized curtains. Material was way too much of contemporary experimental electronics for me. Lots of colorful effects and swirling electronics. Slightly broken electronic beats and large echoes. Due happening behind curtains, it felt more like DJ set. Fragmented form of Autopsia didn’t impress me, but JOB KARMA was much better. Despite strong musicality, it had even more experimentation. All members had huge tables of gear, from giant sized 50’s oscillators to more up-to-date keyboards, guitars and endless amount of gadgets. They would actually play. 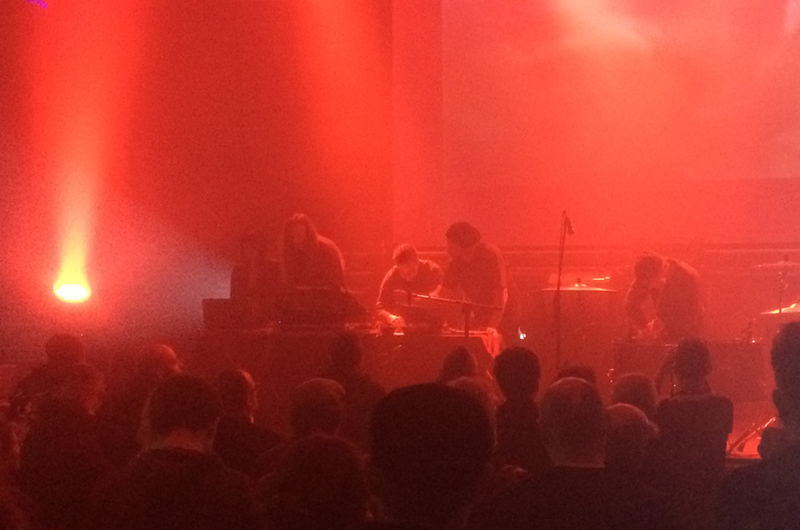 Even if musically Job Karma isn’t noise and dark enough for my own tastes, it was nice to watch and listen. Material was often kind of symphonic, yet also simple mid-tempo beat on the back with multiple layers of colorful electronic experimentation on top. One has to give credit for neat video screening. Strong taste of old European avantgarde taken to modern time. 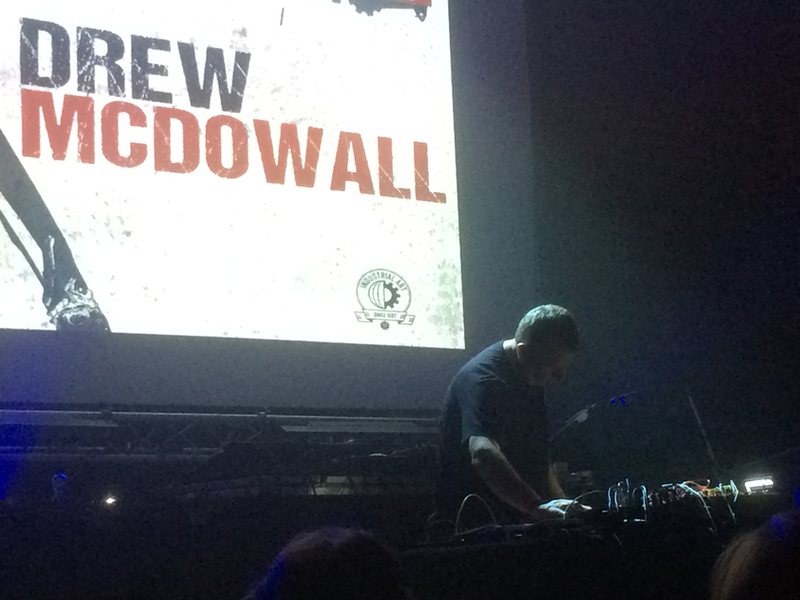 I didn’t expect DREW MCDOWALL to be any good. Mentioned to friend that I’ll go check the beginning and grab beer after it. Why I didn’t think he was going to be good? Just stupid prejudice with no reason other reason than seeing that his reputation was mostly based on assisting Coil back in the day. 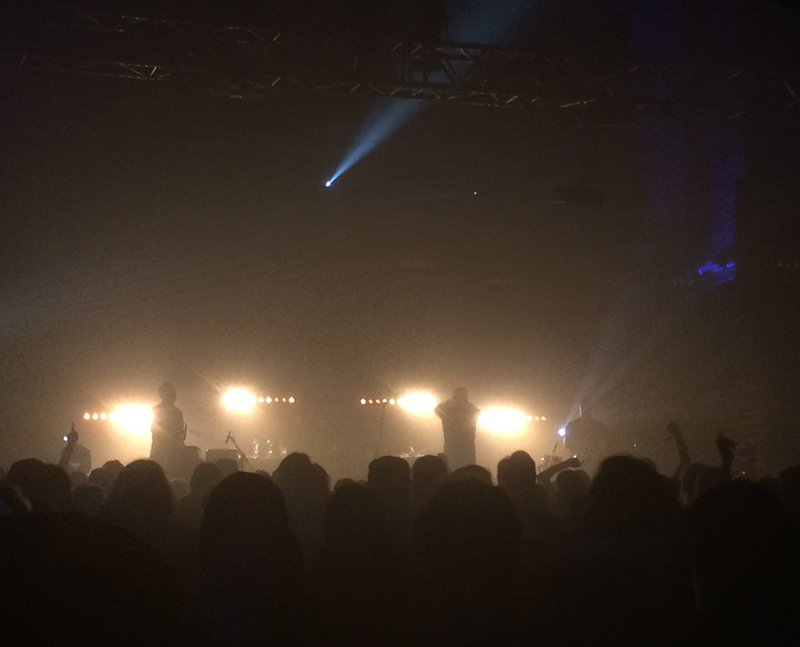 What happened, was that he started to play and I was nailed to floor until set ended, cheering for first gig at festival what felt like really good industrial, in a sense what I like. Not too relaxed, not too musical. Physically crafted on the spot, using variety of equipment. No gimmicks, just material what flows in good way and is clearly under control of its maker who reacts on situation. He could do colossal rhythms, dark eerie drones, massive bassy rumblings, always keeping it simple, but on the move. Lots of loops, but never lazy. He would modulate and process tracks and add layers of sudden machinery and electronics. Indeed among highlights! I don’t think I have never seen Martin Bladh delivering bad show, so one could expect SKIN AREA to deliver. At the same time, Bladh has very strong artistic vision and aesthetic, so regardless is it new IRM, new SKIN AREA or possibly his solo work, despite differences of projects there is very clear uniform element to all. What we have here, is less aggression on the vocals. Leaning more to later days Scott Walker type of high pitched voice, exaggeratedly stretching words and sentences into squealing voices. 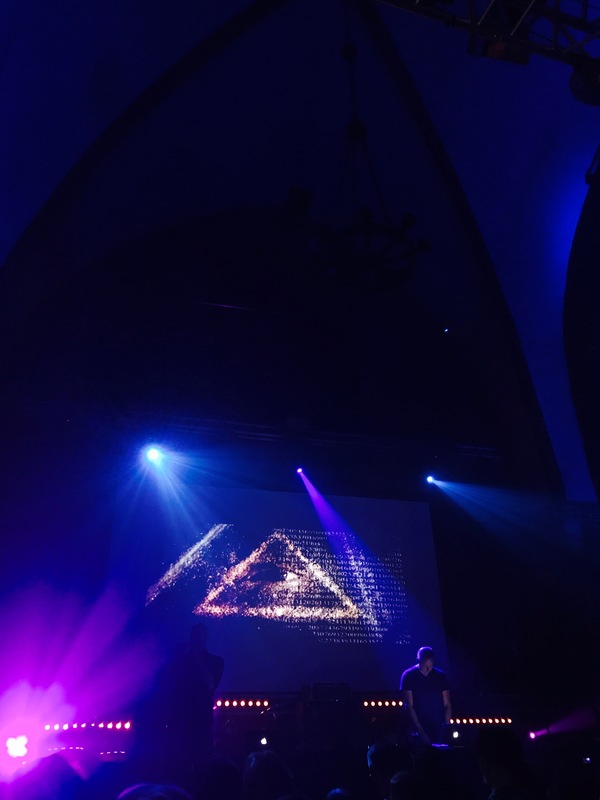 Combined with electronics droning or otherwise rather stabile sound layers, until Magnus jumps from electronics, behind the drumkit and started to bound massive percussive drumming on top of the drones. I have not heard usage of drums in this particular way in IRM or Bladh solo works. Proper full drum-kit works fine with electronics when sound is strong enough. Which luckily was not problem at this festival! Due having my own preparations, I was not sure how much of NURSE WITH WOUND I could catch. One can call me ignorant, but I had this prejudice of thinking NWW these days would most likely be lame. Why? Just impression I got that their glory days are behind and now just trying to live up to the legacy. How wrong I was. Managed to see almost entire set, and it was brilliant! I was blown away by several things. Four members crafted something, what was most likely partially improvised and spontaneous, but at the same time, heavily layered, extremely detailed, in perfect balance of sound mixing and filled with great sounds. They would perform pieces that were long, but always mutating and drifting into new things. You could also see every member create the sounds. 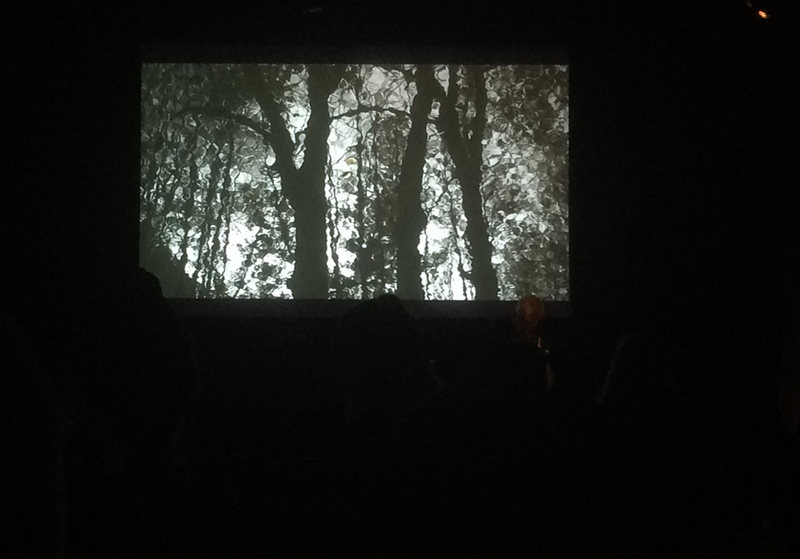 Not to mentioned HUGE screening size of visuals, what added more into this absurd art. Non-stop slide-show video displaying NWW collage artwork was phenomenal as background. One thing what I must say, is also that how close it was to industrial. It is known fact NWW doesn’t feel that connected to industrial movement, yet if you’d close your eyes and some moments, all the tension of synth noise, hammering metallic percussive sound providing rhythm, distant echoing yelling and you could be mistaken to be listening to Alfarmania at underground bunkers of Finland! Of course NWW set had other types of stuff, but what a great surprise to see NWW not only live up to its legacy, but even topping any expectation! Ended up to listening his set at youtube as well. Despite video material can never capture the feeling of actual live situation and massive sound of venue, it gives you hint about what it was. GRUNT set was in smaller stage of Old Monastery. It took about 3 seconds from first sound that audience members had thrown the metal fences to floors and formed pit. Regardless if set actually had couple minutes of ”set up” sounds as intro, before the blasting actually starts. 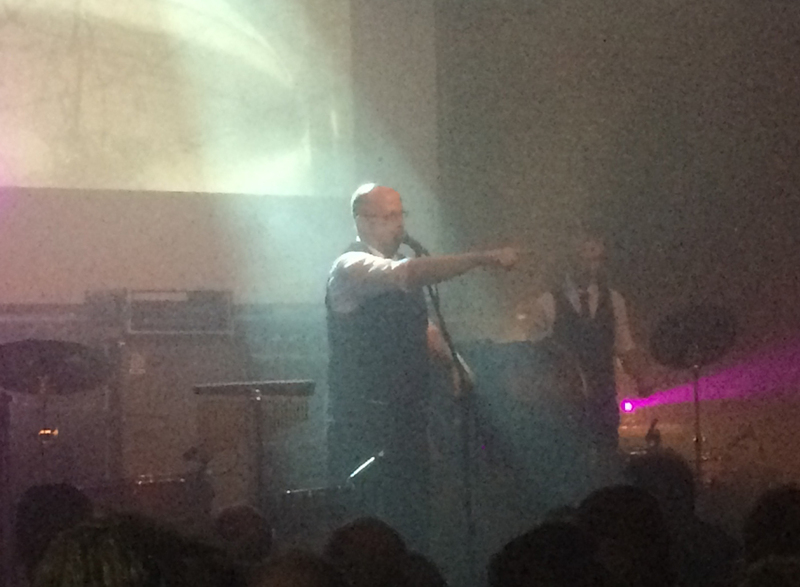 Songs from upcoming Castrate The Illusionist album was performed with addition to versions of Sacrosanct Imperium and exclusive pieces made for the gig. Excluding the modulated loops, everything was created on stage. Since previous Grunt show happened nearly 2 years ago, we had changed almost entire stage gear and set-up, in attempt to build compact yet versatile equipment what allows rather diverse sets being created. Entire 30 minutes was chaos in front of stage and eventually 3 bouncers was in crowd control. Rather amusing to see bald muscular guards struggling with results of noise pit! HYPNOSKULL was the project that got people into less chaotic dance moves. 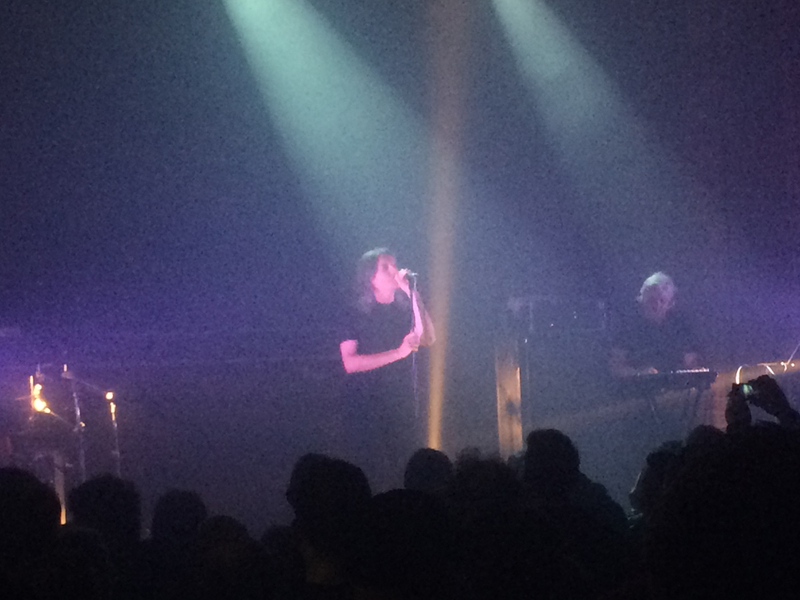 Very much danceable distorted beats was clearly appreciated with full room of big Gothic Hall. For me, it was enough to see couple of the songs to confirm it is not my cup of tea. Day started rather early. 16:00 at Club Proza, RONGWRONG had started. We arrived maybe 5 minutes late or so. Struggling a bit to find place despite maps and apps, hah… And finally realizing I have passed this place several times! Missing few minutes was not bad. Set was great. It was so called sit-through-show. Both artist and audience would have chairs and there was big screening of film you could watch and enjoy. 100% suitable for experimental gig, that had dark but detailed sound. Lots of processed field recordings or acoustic sources with airy and ethereal ambient echoes. Rongwrong has been around since 90’s, but this Polish act is rarely mentioned in discussions. It is very good stuff. In this type of format, I’m not even bothered about lap-top usage. It doesn’t feel like ”gig at the venue”, but… presentation? Zoning out during quiet and subtle sound and drifting on edge of sleep and awake. Best way to experience this type of material. Very nice 3D animation video materials. In spirit resembling a bit of Job Karma, but being less drawing based, more 3D. Nevertheless, something completely unlike bands in Finland tend to use as video material. Couple hours later, at the Old Monastery started KAKOFONIKT. Had been asked to join dinner with some people, but had turned off the offer as had already eaten during day and as I’m at the festival, of course curious to see the artists! It is impossible to know everybody in the genre. Kakofonikt is one of those. They have been around for decade and released already bunch of albums, but don’t even remember seeing their name. With friend we thought again the usual ”lets check if it’s any good, and go get the beers”. Well, turns out there was no time to get beers, since from first seconds of set, it just captured my attention totally. Not even sure why I have not listened their albums before, as there appears to be release even on Fourth Dimension records, which I have been in touch for many years. Later I learned that Kakofonikt is often much more calm experimental muzak, doing hours long sets for sleeping audience. Good concept that too, but this time they performed something what was utterly energetic and amusing. Three people on stage. Everybody busy doing their thing. One guy hammering fast percussive stuff with cymbals and springs. One guy with accordion, horns, synths, and gadgets. One guy with huge table full of objects and equipment. Anything from toys that make sound to DJ CD players, metal percussion objects and whistles. 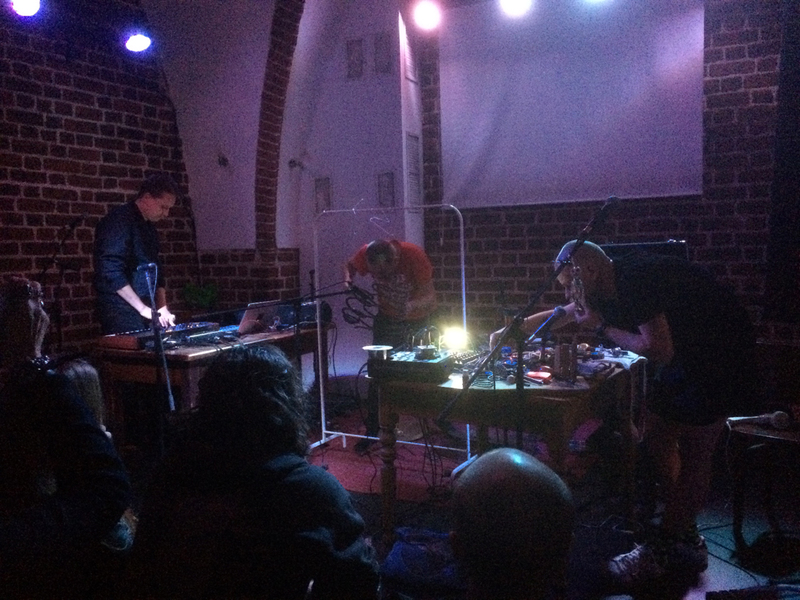 It is hard to explain how it was, but kind of rare moment to see ”electro-acoustic experimental” performed from the scratch. Not playback. Not just manipulated source sounds, but actually creating huge variety of sounds on the spot and keeping it all together and managing to create something what appears as if it was composition instead of merely improvisation. It made me think of some gigs of Das Synthetische Mischgewebe and less noisy percussive stuff of Umpio. Think of combining the self build sound making objects and random percussions with sense of humor added. Sound was very good, and all the time things to watch. This set was among highlights of the fest! 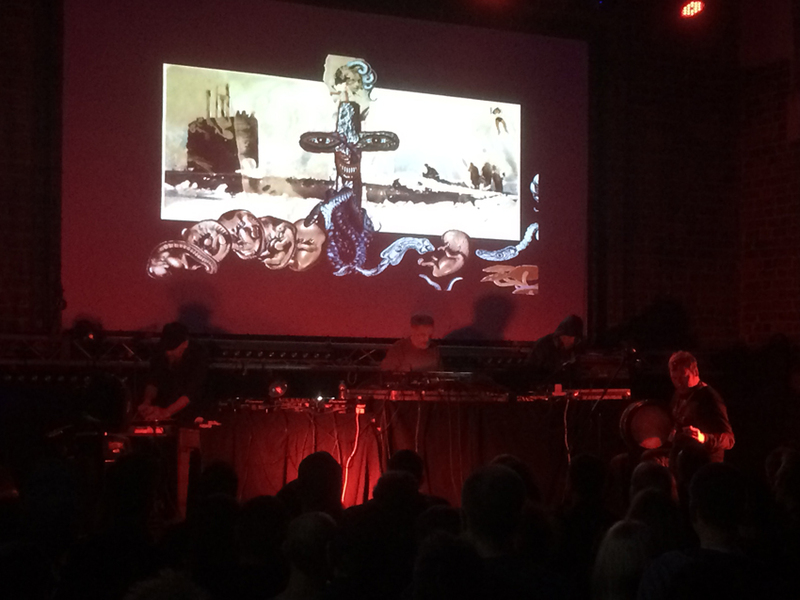 SIELWOLF & NAM-KHAR on bigger stage was darker industrial. Good percussionist, added with couple other guys providing sounds and percussions. Soft, deep synth dark-ambient layers and a little bit of vocals what gave little Einstürzende Neubauten wibe for the end. It may be little thing, but hey, lose the hats and backstage passes hanging on necks when going on the stage! Gig was very good, though. Almost spacy, horror movie soundtrack’ish, but at the same time odd theatrical percussions and elements what sets it apart from generic. Never been fan of martial music, so I knew that TRIARII was not going to be my taste. Watched bunch of songs and concluded that they are doing well what they do, but not something I personally listen to. Voice declaring strong slogans while percussion and symphonic loops create massive and dramatic march through European warlike questions and historical themes. Man behind the project was nice guy though. Sitting on coffee with him in Sunday at the Wrocław airport made me appreciate the project much more! I have had chance to see INADE couple times, but missed it. This time I made sure I’ll be there in front of stage! Solid set from this legendary project. Two guys, both handling lap-tops, vocals, horns, bells, other percussive elements. Most of material came from computers, but every track had additional acoustic elements what contributed greatly into visual and sonic substance. Some of the video material was rather horrid, like animated cyborg head or whatever, but some of it was tasty. Set was easy to watch entirely and confirm that finally sound system and schedule was perfect for Inade to play. I was curious of EMPUSAE as they piled up quite a huge amount of gear on stage. Synths and various objects, vocal microphones and more. 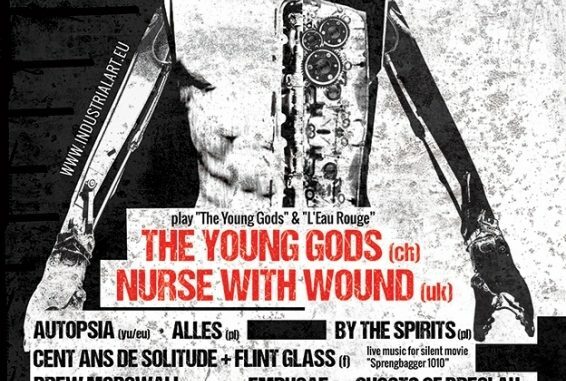 But when gig started, for my horror this was kind of gothic music. Downtempo beats, soundtrack music, singing voice, sampled piano fragments, etc. 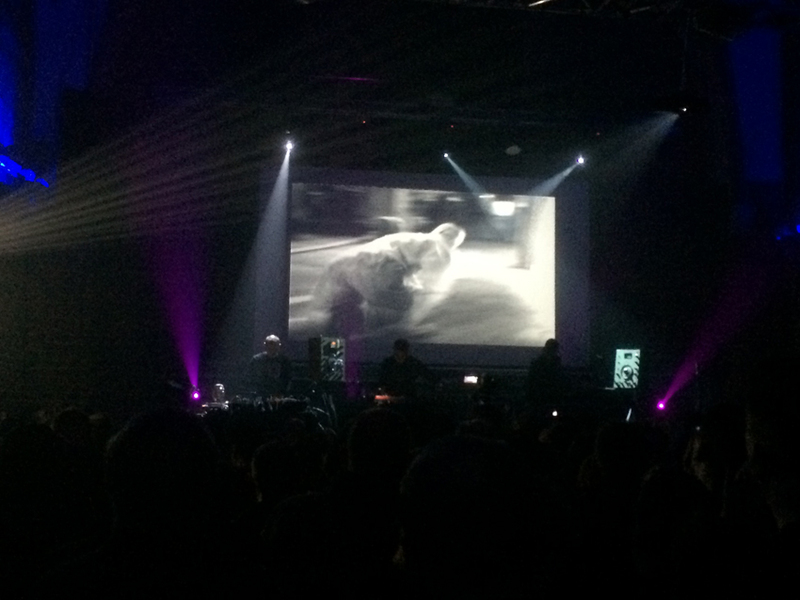 I did appreciate the female member in cloak, who displayed not only live-manipulation of background video, but lets say… other visuals. Undisputed headliner of the entire festival was THE YOUNG GODS performing material of two first albums. Should we call this industrial rock? Very original way of combining rather abstract keyboard sounds with clever drum patterns and singing vocals. Basically one drummer would play quite complex patterns, that would create backbone of song, and one guy with electronics adds fragments of sounds on top, while charismatic vocalist sings on top. 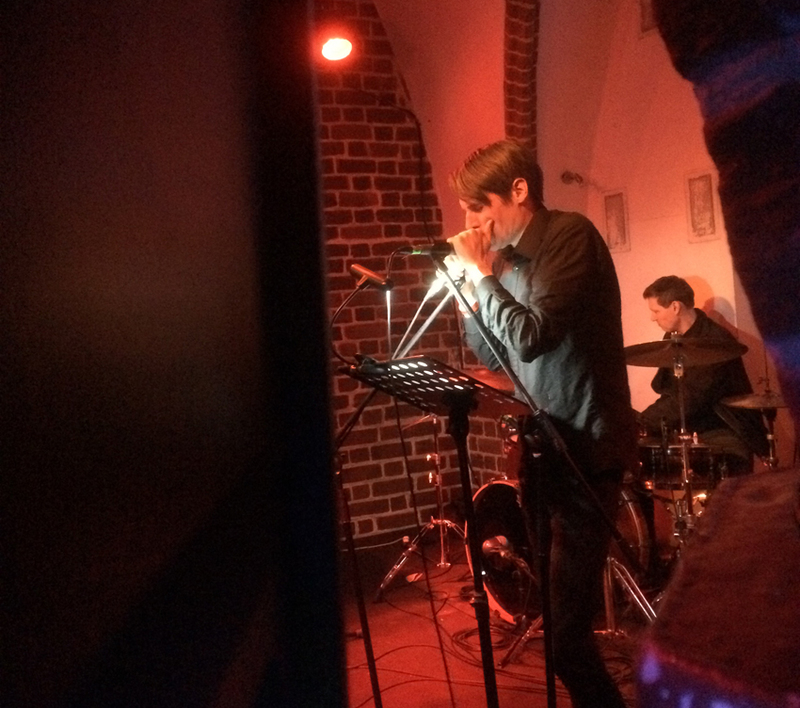 Compared to debut album sounds, as live band, it felt even more as rock band than with studio sound. Not negative remark at all. When tracks like Jusqu’au Bout hit the PA, it showed they can still perform very accurately songs from 80’s with power and intensity and it captured audience instantly. Audience was captured in different way on smaller stage when JAAKKO VANHALA started. Festival security had learned from Saturday that it’s better to be prepared! Three bouncers was sitting on front of stage ready to crowd control if things get too rowdy during blasting Finnish harsh noise! And that was what was going on for next 30 minutes. 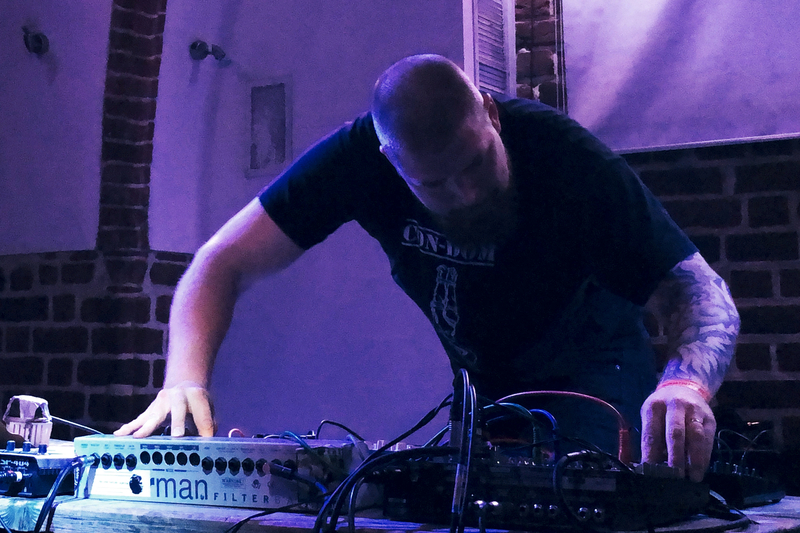 Vanhala displayed his skills to create some of the most technically advanced, yet wild and brutal harsh noise. Think of Pain Jerk at his best, Merzbow mid 90’s at his best and Skin Crime at his best, and I may be biased or heretic to conclude, but he probably tops everyone of these and has also personality and own character in his noise. It is not trapped in technology like some of the more calculated cut-up works, but neither uncontrolled stream of blasting. Perfect balance of control and chaos. What a contrast was to enter to the main hall to see THIS MORN’ OMINA to do fast paced techno what was closer to Scooter or such euro-dance than what I’d consider to be industrial. People did like it, though. Perhaps most dancers during this festival. Last day of festival was organized in smaller venue Club Stara Piwnica. Due necessity to be back in Finland by Sunday evening, our flights were too early to catch anything. My main interest had been to see MAAAA, but later learned he had to cancel due health reasons. Replacement was found quickly in form of Polish HNW project Vilgoc, who was also part of crew involved organizing this festival. XAO, BY THE SPIRITS, KAFEL and ALLES played too. Overall, festival appears to be total success. Organizers confirmed event tends to be sold out each year. At least in the main event. When looking magnitude of crowd during Friday, I would be surprised if total number was less than 500-600 or so? It is hard to estimate crowd that mingles between stages, different floors and outdoors smoking/drinking area or on the yard. 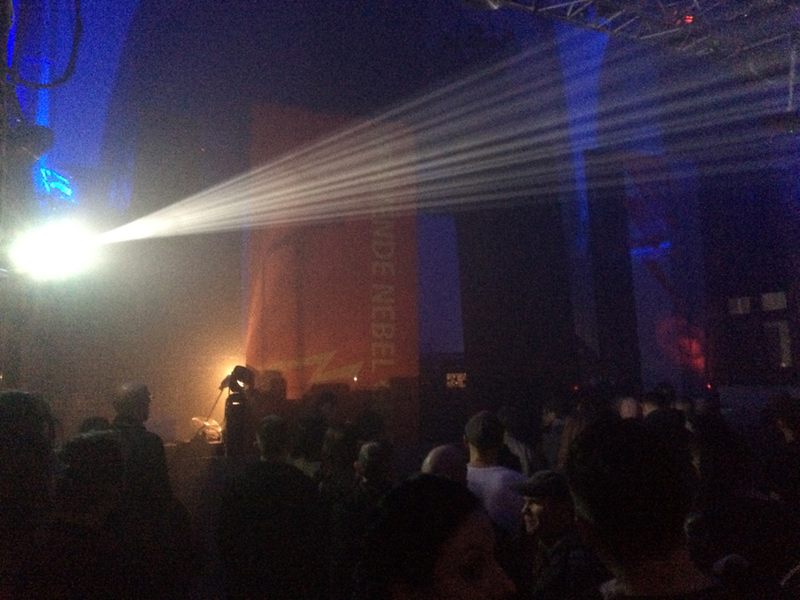 Festival offers wide variety of things that can be labeled more or less within broad definition of industrial music. 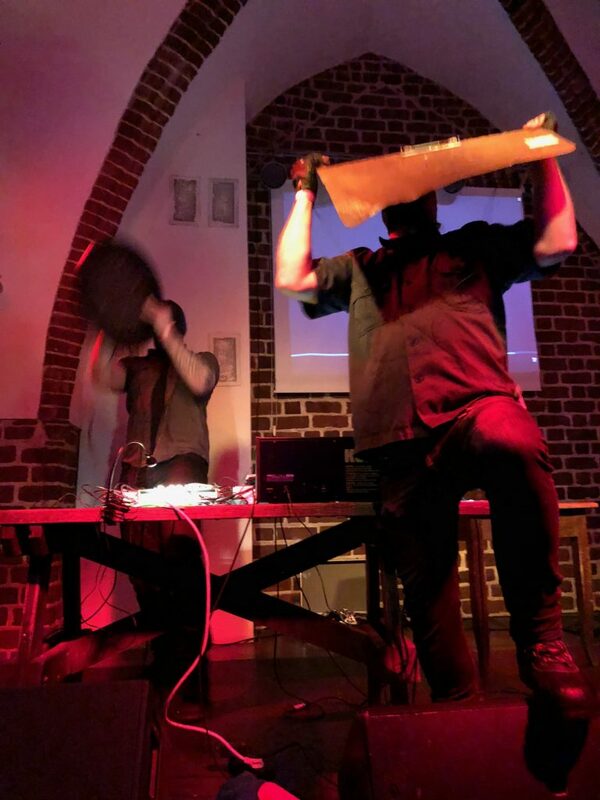 If one looks for sheer industrial-noise or vile power electronics, or in other hand, ambient soundscapes or distorted industrial-dancefloor, they will get just one or two of each. Those with curiosity and hunger to experience, and give chance to wider variety may be surprised positively – like myself! Many of the best groups of festival was those I didn’t know or expect to be great. Big thanks to Maciej Frett for inviting to the festival, mr. Vilgoc and other crew members for making all this smooth and simple! And salutations to friends and comrades seen at the fest.